"More than 60,000 veterans hit the unemployment rolls in June, which puts the total number of unemployed veterans at more than 1 million", Rep. Jeff Miller, R-FL. According to a March 2011 Bureau of Labor Statistics report, the unemployment rate is 11.5 percent for veterans who have served in the military since September 2001, well above the national average of 9.2 percent. Consider this alongside the startling statement by Rep. Miller and it becomes obvious that our country is experiencing a moral challenge when it comes to providing meaningful employment for those who have served in the Armed Forces. Two U.S. military veterans have decided to do something about it. Jeri Prophet and Mark Oiler are co-founders of the brand new Veteran's employment website, NowHiringVeterans.com, a website created in the interest of helping military veterans find employment. Jeri, President, and Mark, Director of IT Services, respectively, of the Virginia Beach, Virginia-based IT consulting firm, IntellecTechs. The website is the brainchild of Mark, a Marine Corps Veteran, and receives input and support from Jeri and Margaret, both veterans of the Navy. 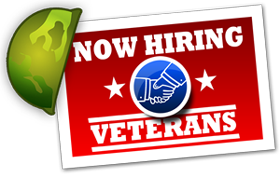 The site was created to assist veterans in finding "the best jobs from today's top companies" and to serve as a valuable resource for employers to access resumes of highly qualified and motivated military veteran applicants. At NowHiringVeterans.com, Military Veteran job seekers can create an account at the site and, at no charge, post their resumes and search multiple categories for current job openings, at the same time, employers can create accounts and access the site to search for qualified job applicants. As an added service to the site, IntellecTechs also offers Military Veterans free training on "how to build your resume and market yourself", taught by business owners and experts in the employment field. In short, NowHiringVeterans.com provides veterans with a valuable tool in their search for meaningful employment that utilizes their extensive military training, and gives companies a means of finding the highly-trained and disciplined employees they so desperately need for their enterprise. Companies are always on the search for employees who can accept large amounts of responsibility. What better place to look than at NowHiringVeterans.com, a resource of job applicants that are accustomed to operating and maintaining large tracts of government property, multi-million dollar weapons systems, and a seemingly-endless number of logistical support systems such as aircraft, computer networks and ocean-going vessels. Military personnel are trained to assume tremendous responsibility in the areas of their job-related expertise, on-the-job attire and adherence to codes of conduct. There's no better way to reward our heroes than by putting them to work, meanwhile greatly enhancing the quality of your work force. Get started today at NowHiringVeterans.com!